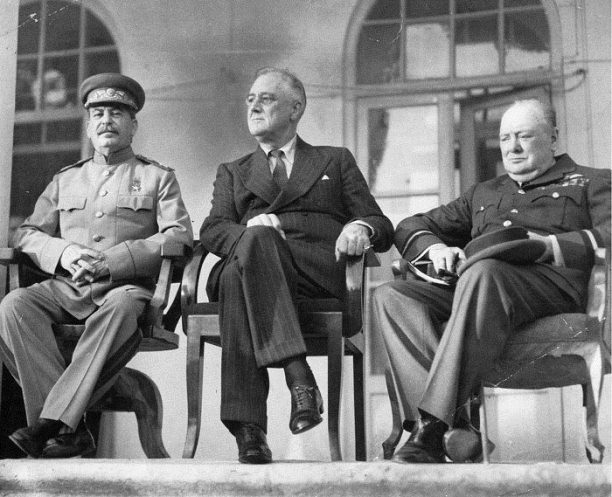 At the beginning of the Second World War, there was no Allied ‘Big Three’, nor even a dual relationship. Great Britain was at first alone. Then, after the German invasion of the Soviet Union on 22 June 1941, the prognosis was not good. Senator Truman spoke for many of his fellow Americans: ‘If we see that Germany is winning we should help Russia and if Russia is winning then we ought to help Germany and that way let them kill as many as possible, although I don’t want to see Hitler victorious under any circumstances.’ Meanwhile, Churchill was attempting to come to terms with his deep-set antipathy towards the communist regime, while already aware of the UK’s dependence on the USA. He was particularly worried that some American aid might be diverted to the Soviet Union in what was already becoming a triangular relationship if not yet the Big Three.